Safely trim unsightly hairs. 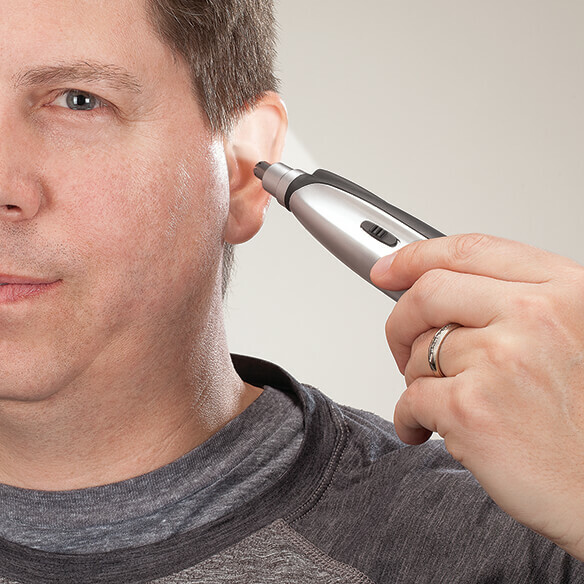 This compact Lighted Nose and Ear Hair Trimmer provides pain-free trimming with dual-action blades that don't pull or tug. 1. Turn the groomer ON. 2. Insert groomer’s cutting tip gently into the nostril or ear. 3. Rotate the groomer in a circular motion around the opening of the nostril or ear, gently moving it in and out as you rotate. WARNING! Be sure the product is turned on BEFORE it makes contact with ear or nose hair. 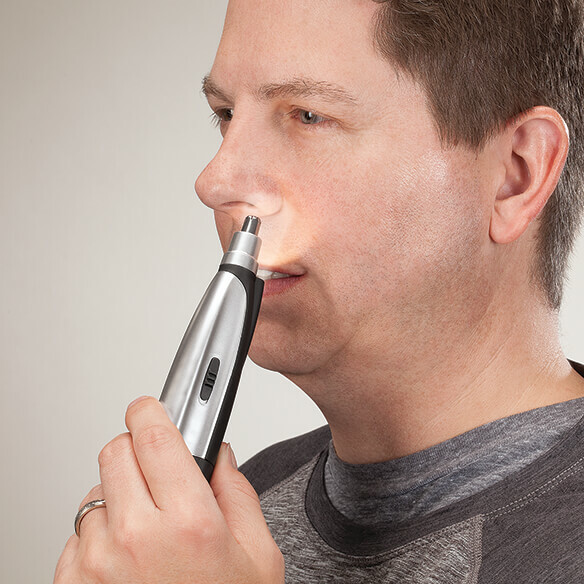 Do not insert the device more than 1/4” into your nose or ear.